If the Tin Man were looking for a modern heart instead of an oversized pocket watch, it might look a little something like this. Scientists at the University of West England in Bristol have fabricated a 3D-printed pump that that uses the pressure generated by live yeast to beat, turning it into an artificial muscle. The valve is powered by electricity generated by a microbial fuel cell and controls the movement of the membrane. It opens to release pressure generated by the yeast, expands, and then shrinks back to begin another cycle. The team is developing the mechanical muscle in collaboration with the Ecobot, a robot that can break down food and human sewage to power itself. 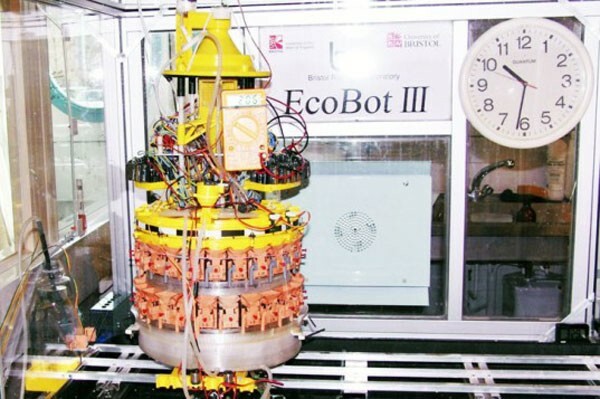 They hope that the Ecobot will be able to feed off of the pump’s waste created by the yeast. A newer incarnation of the pump will also be able to pump liquid, circulating the food for the Ecobot’s microbial fuel cell which could power the yeast pump. Both the hard plastic elements and the molds for the soft silicone parts of the pump were fabricated using a 3D printer. The technology allowed for ease in creation as well as decreased time spent in the prototyping stages. The researchers, led by creator Peter Walters, see the pump as someday becoming a heart for a cyborg-like machine. Now, that is one big pacemaker!